Mid 1920's. For Men and Boys. 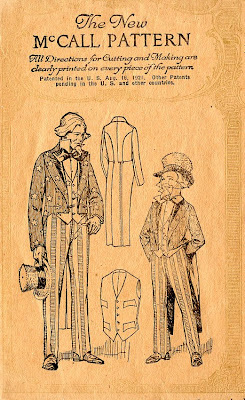 This pattern includes the tailcoat, vest, and broadfall trousers. With this version both the vest and the tailcoat may be star-studded.